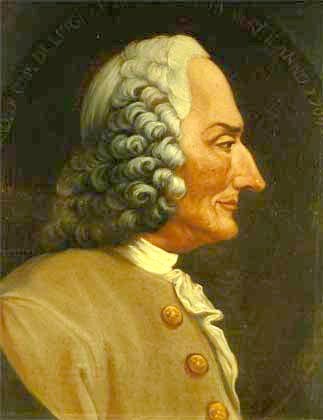 Jean-Philippe Rameau (1683-1764) was a direct contemporary of Bach and Handel, and has been acclaimed, alongside François Couperin, as one of the most important French composers of his age. Little is known about his early years. The first event for which he won fame was the publication of a Treatise on Harmony in 1722. His début opera, Hippolyte et Aricie did not appear until 1733 when he was in his fiftieth year. From this time on, his music became the subject of both acclaim and attack. He was strongly criticised at first for his revolutionary use of harmony, and later for being an establishment composer, out of touch with the new developments in Italian Opera. By the end of the 18th century his music was largely forgotten, and it remained in obscurity until the early twentieth century when it was re-discovered. The Austrian conductor and composer Felix Mottl (1856-1911) was one of the later champions of Rameau's music. His orchestration of three ballet movements has remained a popular work in the orchestral repertoire. Rameau lacked social graces, and was totally and obsessively immersed in music. He was inarticulate, and his handwriting was close to illegible. Curiously, he was more proud of his achievements as a music theorist than as a composer. A contemporary said of him that "His heart and soul were in his harpsichord; once he had shut its lid, there was no one home." In contrast to the man, his music graceful and lyrical, and filled with inventive melodic and harmonic ideas. The Ballet suite takes its first dance from the opera Platée, which is the story of an ugly water nymph who imagines that Jupiter is in love with her. It was first performed in 1745 in Versailles. The other two dances are from the opera-ballet Les Fêtes d'Hébé, first performed in Paris in 1739. Both these dances take their names from musical instruments: the musette which a bagpipe and the tambourine which is a small drum. Rameau cleverly imitates both instruments creating lively and characterful dances. The three ballet pieces by Rameau were performed by the Portobello orchestra on the 26th March 2011 and on the 3rd September 2011, conducted by Anthony Weeden.